BRANDON, MB –– The dream of two Melita women has come true. 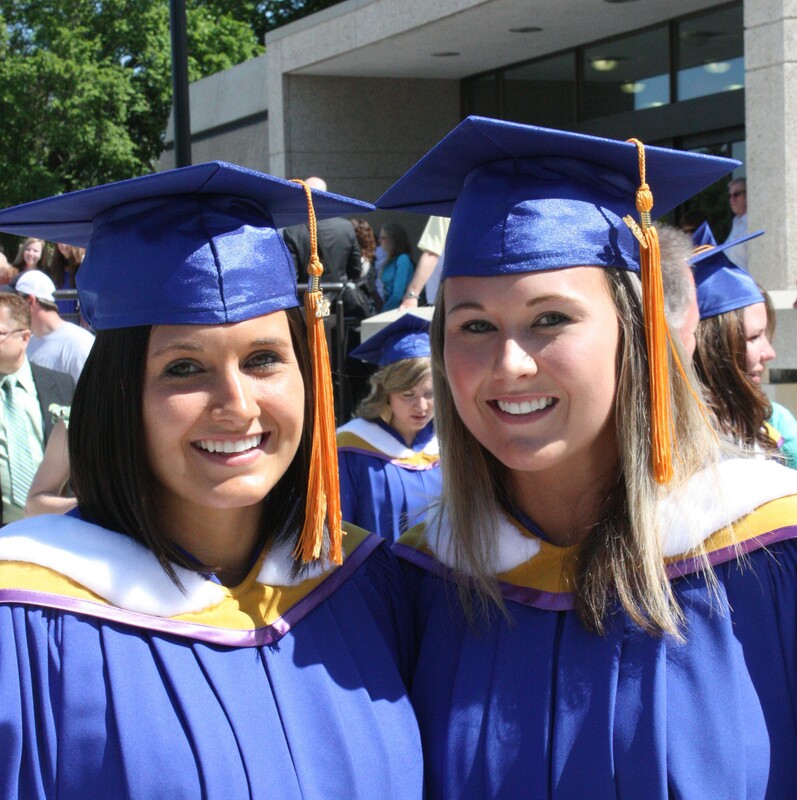 Earlier this month, the Serruys sisters — Darci and Danielle —both graduated with education degrees from Brandon University (BU). They chose BU for a variety of reasons, including its proximity to their hometown. “BU has some fabulous professors and great course selections. The Faculty of Education is full of amazing people and it prepares you for your own classroom one day!” said Darci, who is two years younger than Danielle. While Danielle shared her sister’s feelings about their alma mater, she added a few comments. Darci has had a bit of a head start in the “real world”, as she was hired this spring as a replacement in the Grade 3 and 4 class at the Waskada School. She will return there in the fall for a good portion of the school year. Currently the Summer Services Coordinator for Children’s dis-ABILITY Services in Brandon, Danielle has also landed a position in her field of study. Like her sister, she will be teaching the Grade 3 and 4 class at Betty Gibson School in Brandon, where she had been an educational assistant during her studies at BU. Though they are just embarking on their careers, both women had been nurturing the love of teaching for years: As children, they loved to “play school”. During their teen years, Danielle and Darci were very involved in their hometown’s recreation programs for kids. They both lifeguarded and instructed young swimmers. Danielle also taught piano, coached various sports, while Darci was a Can-Skate assistant with the Melita Figure Skating Club. At Brandon University, Dr. Jacqueline Kirk taught both sisters during their education program. Of spending time in the same program together, both Danielle and Darci have nothing but fond memories and are looking forward to pooling their resources as professionals. “Being in the same classes as my sister was a good thing. It was nice to collaborate, to share ideas, to vent to each other and to learn from one another. I wouldn’t have changed a thing,” said Danielle.